Good Morning and Happy Sunday My Friends! I hope you had a good weekend and are gearing up for the Holiday Season. 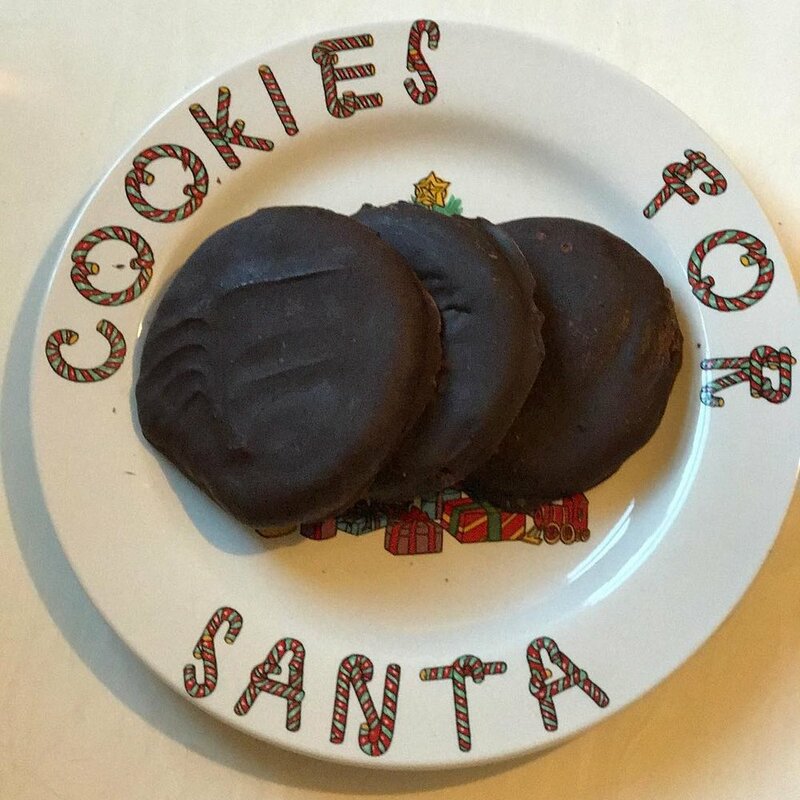 I am fully in the SPIRIT and have been doing some holiday baking- my fav! I am a breakfast pusher and like to give out BREAKFAST COOKIES during the holiday. I use Breakfast cookies to entice people to eat breakfast because it truly is the most important meal of the day. Breakfast is a critical meal because it influences every dimension of our being during the course of the day. It immediately raises the body's energy levels and restores the blood glucose levels after a night of fasting. It also immediately lowers the blood level of the stress hormone - CORTISOL- which peaks in the early morning hours. Breakfast of the Champions! Preheat oven to 350 degrees F. In a large bowl combine almond butter, coconut palm sugar, cacoa powder, and egg. Stir in hemp seeds. Add in vanilla and sea salt. Dough should come together as a sticky ball but will hold together. Roll into 12 small balls and place on a parchment or silicone-lined baking sheet. Slightly flatten each cookie and sprinkle with additional hemp seeds. Bake for 12 minutes. Remove from oven and let cool on tray for 10 minutes. DO NOT TOUCH as they will fall apart. After 10 minutes, remove and let cool completely on a wire rack.Store in an airtight container for several days on countertop. 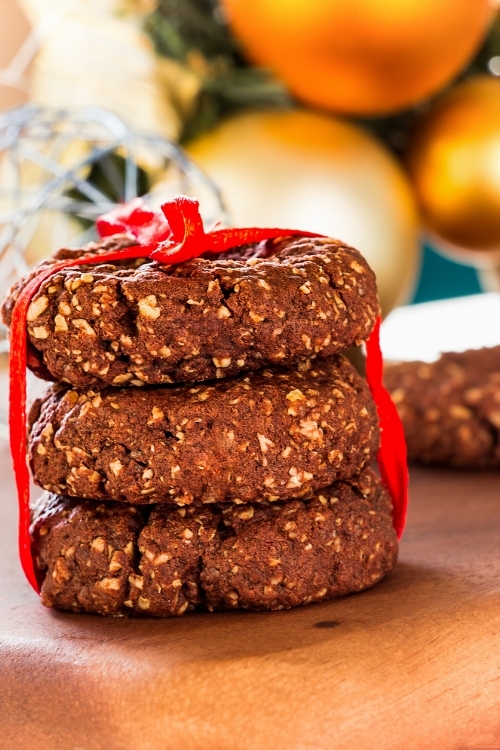 Next up is the healthy version of Peppermint Patty Cookies! My kids absolutely love these and they are always a crowd pleaser. Freeze 1 hour. Serve. Enjoy! In a medium size bowl, whisk the dry ingredients together until thoroughly mixed. In a LARGE mixing bowl, beat the eggs and maple syrup together until frothy with a whisk. Slowly add the beer, whisking gently; it will be nice and foamy. Immediately, add the dry ingredients; whisk just until smooth and combined. Spoon the batter into the greased bread pan and smooth out the batter evenly in the pan. Pop in the oven. Bake 35-43 minutes or until golden brown and done. Let cool 5 minutes. Gently run a knife around the edges to loosen; turn upside down and give the pans a little pat. Turn the bread right side up and let cool on a wire rack. Enjoy! This bread can be dangerous! It is SO GOOD!! Sweet, spicy and a little salty, these crunchy roast cashews are perfect for a cocktail hour nibble, gift from the kitchen or game day snack. Heat the oven to 350 degrees. Cover a rimmed baking with foil and spray with non-stick spray. In a medium bowl, mix the maple syrup, rosemary, brown sugar, oil, and spice until smooth. Add cashews and mix to coat thoroughly. Pour the nuts onto the baking sheet and sprinkle with the salt. Start with the two teaspoons. Add more only if needed. Bake for 18-20 minutes or just until you begin to smell them and they are golden brown. Your timing will depend on your oven. The nuts will crisp and harden as the cool. When they cool they will stick together. Carefully break them apart to package. Package in an airtight container. They will keep for up to two weeks at room temperature. I hope you enjoy these goodies and your holiday! I have A LOT to be grateful this year and I am also excited for 2018! My kids are teasing me because I am trying to create all sorts of traditions before my son heads off to college. I may be a little late in the game, but I am trying! I just can't believe that Emmet will be flying the coop and am spending as much quality time as possible with him. He is such a fine young gentleman and although I am excited for him and his future, I am going to miss him terribly next year. Thus, I may be going out of my way to make things or create traditions that he remembers. Can't blame me for trying, right?? 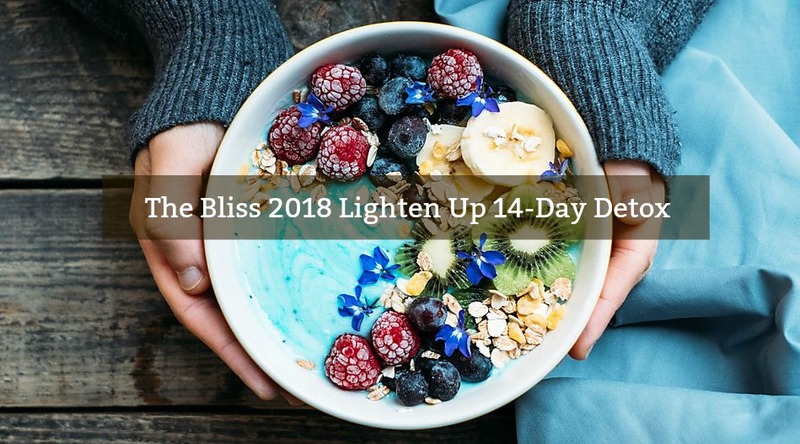 Speaking of 2018, I have been asked when my 2018 Detox will be and am excited to announce that REGISTRATION is OPEN for The Bliss Lighten UP 2018 14-Day Detox that will kick off on January 18th!! I have been working hard on this season's detox and have lots of information to share with you. Hop on over to www.detoxwithbliss.com to learn more and reserve your spot. Okay gang, I am off to work on a few other projects.